Happy Tuesday from the D.M.V. in Washington, D.C. A day at the DMV signifies saying goodbye to my Colorado license and declaring Washington, DC my new home. Exactly a year ago, I began my transition back to the U.S. after living in Uganda for three and a half years. My U.S. chapter began with fundraisers and events all over the country but in October I started to plant more permanent stateside roots in Washington D.C. In honor of an incredible first year being back in the U.S., I would like to announce D.C. as the official home of Action in Africa’s new headquarters. This new chapter has been an incredible adventure and I’d love to briefly share with you some of my favorite highlights from the last year. For starters, we hired Samantha Cressey, my dear friend and peer from Chapman University, to be our new In-Country Director. Her on the ground effort has greatly contributed to AIA’s immense growth over the last year. Sam has made my transition back to the U.S. seamless and for that I am forever grateful. Last December, we held AIA’s 3rd Annual Winter Fundraiser at Aspen Kitchen. We sold out of tickets in record time (before invitations were even mailed out!) and raised 3x more money than our events committee anticipated. 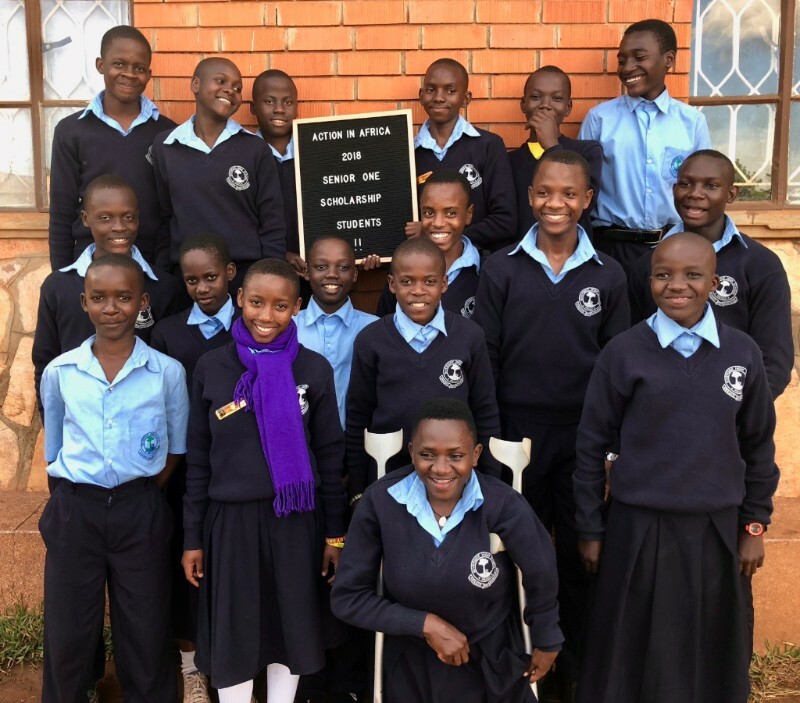 In January, we solidified our partnership with School For Life and now send 17 of our S1 scholarship recipients to their brand new high school, Mbazzi Riverside. We have rented a bus for their 40-minute drive to and from school each day. Despite the far commute, these students are thrilled to have the opportunity to attend such a phenomenal school and we look forward to educating more students through S.F.L. in the future. Thank you, Annabelle, Ange and Kessia for helping establish this partnership. In February, we officially launched our Primary Partnership Program which supports primary schools in our village. 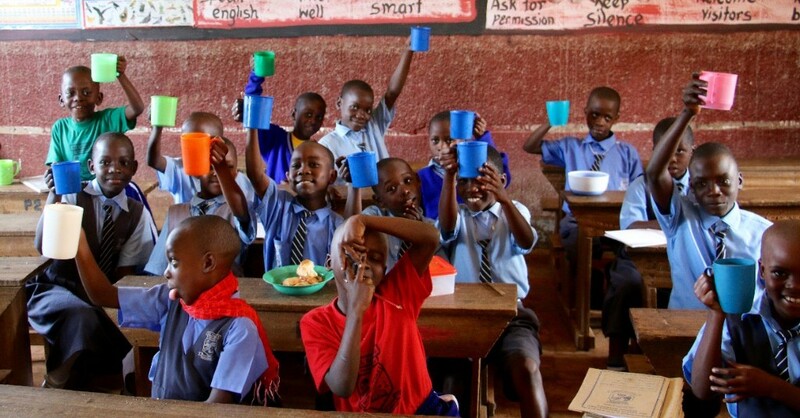 At the schools, we provide breakfast for each student and since February, a total of 65,718 meals have been provided because of Action in Africa. In addition to breakfast, we encourage the teachers to bring their students to a scheduled program at The Center to compliment what they are learning in their classrooms. These programs include but are not limited to: creative writing, spelling bees, drama, music and debates. 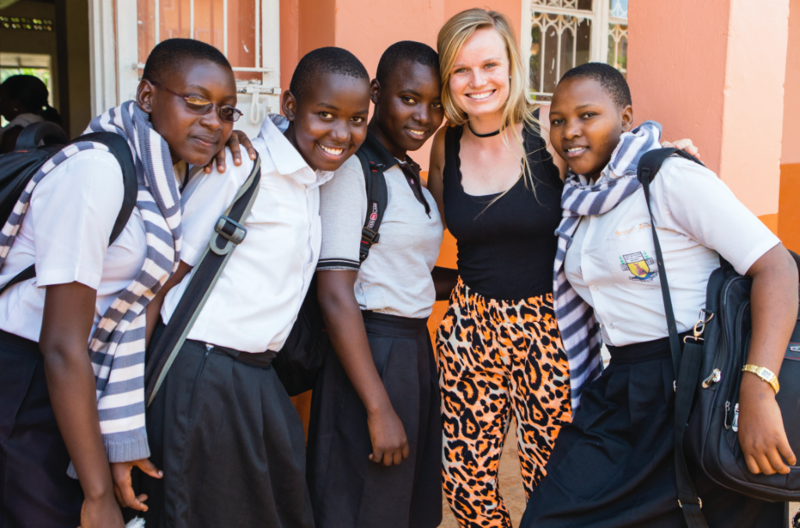 The Action in Africa staff, the program facilitators, and the teachers have all been moved to tears by the impact this program has had on their kids and their schools. 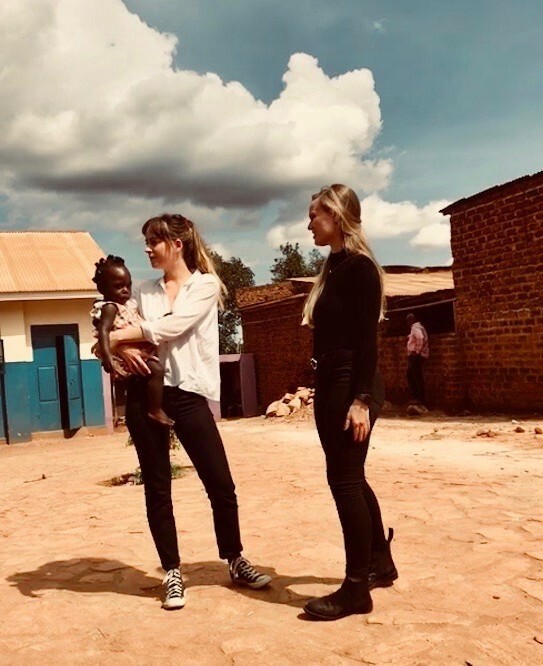 In April, Dakota Johnson, my childhood best friend and longtime Action in Africa supporter, visited our programs in Uganda. It was such a special visit and I am truly moved beyond words by her love and support. We look forward to many more visits with her in the future. In July, we awarded our fourth University Scholarship to Gloria Nabulime, a graduate of Action in Africa’s Secondary Scholarship Program. On August 24th, she will step foot in her very first university classroom, working towards a degree in Social Work and Social Administration. We are so proud of her and cannot wait to see all that she accomplishes. As you can tell, a lot has been happening over the last twelve months. Action in Africa has seen many changes; the one constant, however, is the undeniable impact that we are having at our little community center in Nakuwadde. 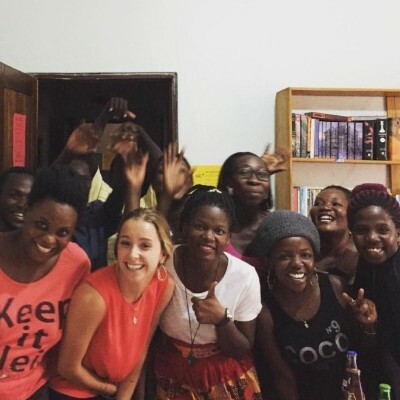 I am overwhelmed by the dedication of our on the ground team in Uganda, our Board of Directors, donors, supporters, high school and college clubs, and everyone else who makes Action in Africa so successful. Thank you for being a part of this story. So, what can you expect from us for the remainder of 2018? 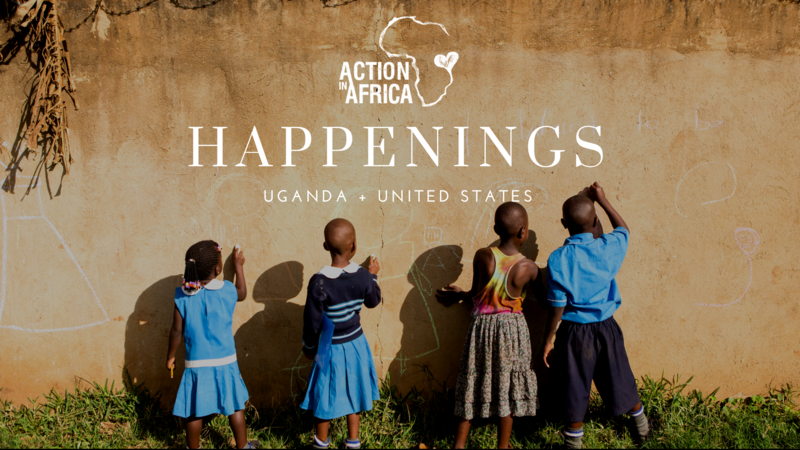 An abundance of stories and updates from both Uganda and the U.S., an increase in social media presence filled with day-to-day happenings, consistent newsletters with meaningful ways to engage in our work in Uganda, exciting fundraising campaigns and events, and so much more. Stay tuned. PS. If you have made it this far in my verbose letter, please email me saying “I read the whole dang thing” along with your mailing address and I will send the first 25 people a little AIA goodie!